What can £80 get you when shopping for a screen. 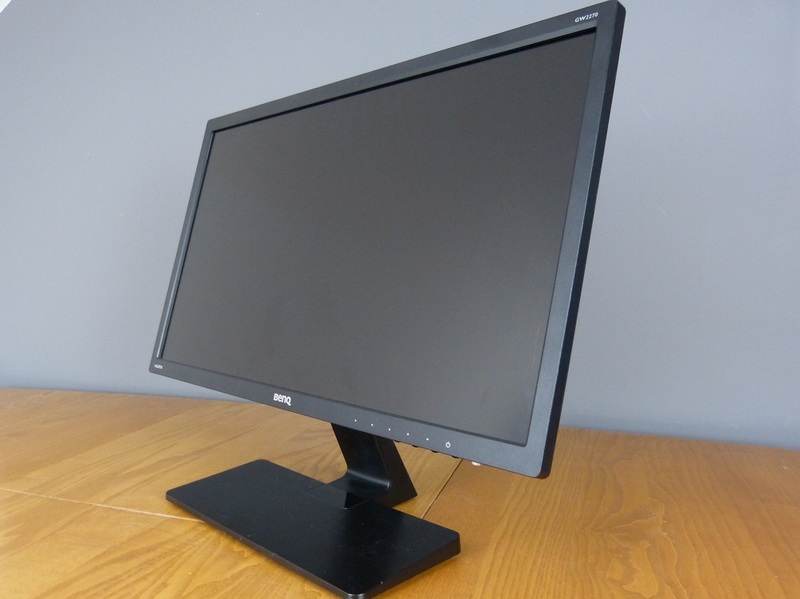 When you are looking at the Benq GW2270H, it would appear, quite a bit! Right out of the box you will notice there is a 100 x 100mm VESA mount for attaching to various fixings. This opens many possibilities, for a cheap second screen, a reading panel, security fixing or just a small office PC that needs a no frills screen setup. The mount included does allow for a little adjustment, a little tilt back and forth, however. you cannot pivot the display into a portrait orientation or to the left or right. The screen doesn’t have a high-end finish, everything is plastic. However, it does seem to be hard wearing and fairly tough. Around the back are two HMDI ports and a VGA port. Unfortunately, there are no DisplayPorts or DVI posts. The sound has also been omitted, GW2270H does not come with a speaker nor is there a headphone jack. This is entirely forgivable as I have yet to see any circumstances that require the monitor to emit sound. There is an easy-to-use on-screen display, with quick access to brightness, switching input sources, low blue light modes. The main menus have plenty of options, however, there are no professional colour settings, it’s down to the user to tinker with colour balances and gamma, contrast, brightness controls. The brightness on the GW2270 only manages around 244 nits, this isn’t entirely a deal breaker however it is a little concession that might both some. The 22-inch AMVA panel has a dynamic contrast ratio of 20,000,000:1. The response time is 5ms and its maximum resolution of 1920 x 1080 rounds up the more important specifications. These are not spectacular features yet they are impressive for the price tag. Adding the VA panel makes for terrific viewing angles. There is noticeably good colour accuracy and range too. Whilst serviceable with an improved native contrast ratio we wouldn’t suggest blasting through the latest games expecting a world for realistic colours. The GW2270H performs adequately. You can pick the BenQ GW2270H up from Amazon for aroun £80.